Today is a gift which I already celebrated for more than 40 years with my family, friends, team mates & comrades. This gift is truly a blessing knowing that I am sorrounded with these people who are walking with me in this journey called life. You guys are indeed my real wealth and I am counting the ways how blessed I am to have this chance to say THANK YOU for being there all these years. THANK YOU MOTHER for giving birth to me and for giving me the light of your wisdom which steadily shines in our home even in your twilight years. A light that inspired me to shine as well and gave that same light for my home & family. THANK YOU FATHER for instituting a strong pillar of faith in my heart and established the courage & strength in me which keeps me going to conquer my fears & battles. THANK YOU BROTHER for being one of my mentor in discovering the outside world while giving me an assurance that you will be my defender. THANK YOU SISTER for the gift of friendship. I learned how to trust & appreciate the beauty and love of other people. THANK YOU TEACHER for instilling a gift of patience in my heart and mind and for letting me know that everything will be possible if I will try & strive hard. TO MY OTHER HALF, THANK YOU for giving me the gift of love that maintains a harmony in our home and for giving me that strong shoulder to lean on whenever my strength fails me. I love you. TO MY KIDS, THANK YOU for helping me to discover the real essence of motherhood. You are my inspiration & the fulfillment of my being. TO MY FRIENDS, THANK YOU for giving me the chance to discover the gift of trust. You colored my world with your beautiful minds. TO MY COMRADES, THANK YOU for showing me my social responsibility. That I have to prove my worth in this society. TO MY TEAM, THANK YOU for sharing the gift of aspiration to achieve a common goal. TO MY ENEMIES, THANK YOU for implanting an anger & hatred in my heart. You taught me to be strong & cautious at all times. AND TO YOU MY GREAT CREATOR, THANK YOU for giving me the opportunity to explore your creations. You are the source of my strength & wisdom. When everyone fails me, I know you won’t. Thank you for the gift of life that you gave me everyday. This gives me the chance to continue my journey and achieve the fulfillment of my conquests. And to EARLY BIRDS, who greeted me earlier 😉 You know who you are. Thank you for showering me your love. I don’t have a message box in my wall not because I don’t want you to greet me in public. Of course I do that’s why I created this post for you. This is my way of saying THANK YOU for taking part in my journey 😉 I love you guys! Eto c Bespren Liza, ang relasyon namin parang alak, habang tumatagal tumatapang? anu un? tagay!! Eto naman ay mas matindi sa alak, haha! ano daw? PATIS? grabe naman kau, ang alat nun! nyahahaha! Ang Team, Ronald at Sherwin, antok ka na wing? maaga pa ah! Pero syempre mas masarap daw tumagay, di ba mga kafatid? tagay pha!! wag nyo ng tigilan!! wla na taung trek nyan!! nakupo! hayyy, kaya ang tgal ng low pressure eh!! tsk tsk!! oh!! ano to?? anong naman ang drama nyo? ahahaha!! pwd ba gnyan ang ayos nyo pag me trek? nyhaha!!! at syempre eto ang highlights!! ano? bakit to naging highlights? eh kc kinukulayan ni robin ung hair ni kulot, nilalagyan ng highlights, nyahaha!! di na kaya ng powers ko to!! Thank you guys sa pakikisaya sa aking kaarawan 😉 bago mag uwian, yung regalo ko? hehehe. Loveyou all!!! You, Greyz PanlicaN-bautista, Lois Corpuz, Marjorie Somejo and 14 otherslike this. Robin Sr Corpuz happy birthday my dear sweetheart i love you more than thousand fold. Glenda Galope Happy birthday mare ko,.. wishinhg u more xtra time so we can meet soon,.. aside 4 my personal wish, wish u gudhealth and safety always,.. love u so so much.. miss u very very much,..
Pinay Keypoint ‎@ Marilyn De Guzman Corpuz, Love u too Bas! Thank you too for giving me the opportunity to be your friend, mentor and mom 😉 I just love having many kids around. mwahh!!! Emily Corpuz tita happy birthday..
Pinay Keypoint ‎@ Emily Corpuz salamat! Pinay Keypoint ‎@ Eliza M. Tam, over the years and the years to come, you’ll always be a friend that I can depend upon… Love you too Baliz, di na kayang ifold ang lahat ng pinagdaanan natin sa loob ng mahaba haba na ring panahon. Odette Mallari ehehe.. I really think so, sino ba namang di ma iinspired when u have someone telling you” I love you more than a thousand fold!” (kilig) ma keso din pala si kuya Robin.. ka inggit! Pinay Keypoint honga, me mga pagkakataong makeso din yang si long hair kaya dinadaga eh! ehehehe ewan ko ba, is that a sign of aging? haha!! Rajisha Bustinera Corpuz happy birthday momsy! may your birthday be blessed, good health and I love You! Pinay Keypoint ‎@ Robin Corpuz Jr, yes baby, nakita ko yung cardna ginawa mo ang ganda nga eh, thank you! love you! mwah!! Pinay Keypoint ‎@ Rajisha Bustinera Corpuz, thank you nak! you’re one of my blessing, love u! Pinay Keypoint ‎@ Jay R Callos, Salamat! bat di kau pumunta? 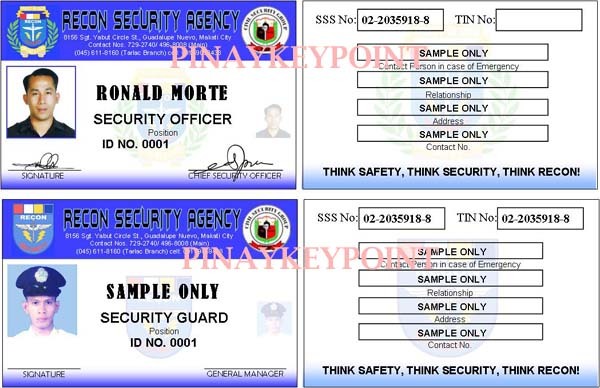 Pinay Keypoint ‎@ Sabrina Corpuz, salamat nak! love u! Pinay Keypoint ‎@ Dhey Faustino Thank you Dayang, love you to! hugz!